No Country for Women is a new landmark television two part documentary series from RTÉ's Anne Roper which explores Irish women's lives since achieving the vote 100 years ago. In the 100th anniversary year of women's suffrage, these documentaries travel through time, seeking historical answers in the journeys of a number of Irish women today. In the 100th anniversary year of women's suffrage, these documentaries travel through time, seeking historical answers in the journeys of a number of Irish women today, women whose lives and those of their mothers and grandmothers collided with discriminatory legislation that made Ireland effectively, No Country For Women. In 1918, Irish women voted for the first time. Yet the question remains how much has changed for women in the century between? No Country for Women asks why, in an Ireland that fought so hard for independence, did half the population's voices so often go unheard? And what is the long-term legacy of a century of government, legal and religious control over women's lives? A Woman's Place is the story of women's life in the home, which for many involved dependency. The Irish Revolution promised equality. However what many women experienced was containment. Their home was where their father lived, or their husband, or with a religious order. If a woman didn't marry and became pregnant she could be placed in a mother and baby home or a Magdalene Laundry or an asylum. Or she could emigrate and find a home elsewhere. Why would a new country founded on a vision of equality create laws that benefitted men in the home but not women? Was the aim to preserve the physical State at all costs, even if that meant denying women full citizenship and the breaking of Proclamation promises? Samantha Long wants to know more about her grandmother, Anne, and what life was like for her and other women confined to ‘mental asylums' beyond the Free State years. Catherine Corless shares the story of Julia Carter Devaney who spent the first 45 years of her life as an unpaid domestic in Tuam's mother and baby home. Her story unfolds with the help of a newly discovered audio recording of Julia herself, made in the 1970's. Julia is also one of three women in the series who were confined to institutions because of poverty and not having families. Mary Magee, from Skerries, talks about challenging the contraception ban through Irish courts in the 1970's:“I was having problems with pregnancies: pre-eclampsia, strokes. I got scared and decided to use contraception. I couldn't take the pill because of the stroke, so I found out about the coil. But you needed spermicide from England and my order was stopped by customs. Mary Robinson, former President of Ireland, talks about a wide range of issues including how contraception is vital to women's economic independence. Journalist, Justine McCarthy, speaks of the heartbreak of a sister having to give a child up for adoption. A Woman's Work is the story of women's quest for social and economic freedom in Ireland over the 100 years since the vote. It tells the story of women who protested the marriage and promotion bars in the workplace, women who fought against laws giving husbands the sole right to the family home and women's lack of independent social welfare entitlements, housing and pensions. It also charts the struggle women experience having their voices heard in the Dail and on juries. Despite the vote's promise of freedom, women's work outside the home was seen as contrary to the needs of the new Irish State. A Woman's Work will look at how laws and historical attitudes to women's economic independence created a culture that is still, in some cases, continuing today. Rebecca Roche was only eight when she met her eventual step-mother, Eileen Flynn. Eileen was fired from her teaching job in the 1980s for living with a separated man and becoming pregnant. Rebecca has lived abroad for most of her adult life and wants to learn more about Eileen's case. Mary Merritt was incarcerated for fourteen years as an unpaid worker a religious-run laundry. She was in so many institutions she began to think the whole world was run that way. Samantha Long meets Mary to ask what work life might have been like for Sam's mother, Margaret. Micheline Sheehy Skeffington's grandmother, Hannah Sheehy Skeffington, was a feminist and suffragette. She was fired after being arrested protesting for women's vote 100 years ago. More recently, Micheline fought her own employment equality case. To coincide with the series broadcast, the RTÉ Player online (www.rte.ie/player) will broadcast eight stories/interviews to further explore issues including: psychiatric confinement in Ballinasloe, concealed pregnancy, feminism, domestic violence and broken Proclamation promises. Participants include: former Irish President, Mary Robinson, Women's AID director, Margaret Martin, Midwifery Lecturer, Sylvia Murphy-Tighe, historians Cliona Rattigan and Oonagh Walsh, as well as 101 year old Maureen Cronin poet and writer for the Clare Champion who remembers defying the marriage bar more than half a century ago. 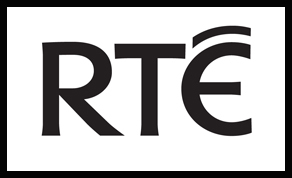 Commentators across both episodes include: former Irish President, Mary Robinson, Journalist Justine McCarthy, Trade Union Activist Mags O'Brien and historians: Lindsey Earner-Byrne, Mary McAuliffe, Brendan Kelly & Diarmaid Ferriter.